It's time to step it up a notch, and tackle those hundreds! 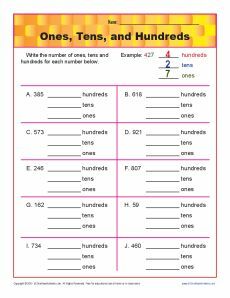 Your student will break down numbers into ones, tens and hundreds in this worksheet. While it's good for practicing 2nd grade Number & Operations in Base Ten of Common Core Standards, other students may also find it helpful.